Police have charged a 30 years-old man. Police Scotland can confirm that a 30-year-old man has been charged in connection with an alleged assault at Stonehaven Railway Station on December 3, 2016. He is expected to appear at Aberdeen Sheriff Court on Friday January 13. 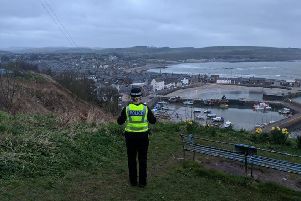 Investigating Officer Constable Graham Crawford said: "I would like to thank the public and media for all information and assistance provided to Police in connection with our original appeal."